As part of its turnaround strategy, Denel is looking to halt production of historically loss-making A400M components for Airbus. 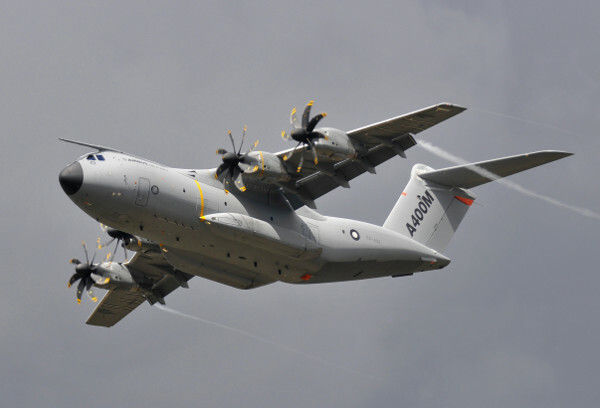 In a statement issued on 30 March, Denel said it had reached a mutual agreement with Airbus to transfer the manufacturing of aircraft parts for the A400M military airlifter out of Denel, subject to fulfilling applicable legal prescripts. Danie du Toit, the Group Chief Executive of Denel, said that in light of Denel’s ongoing strategic review of its operations, the two companies agreed that the continued manufacturing of aircraft parts by Denel is no longer sustainable in its current form. Alternative options are now being considered between the two parties. “Denel and Airbus continue to collaborate in other areas and intend to build, expand and strengthen their strategic industrial partnership,” Denel said. South Africa decided to join the A400M programme in December 2004 with an order for eight aircraft. As part of offsets, Airbus transferred skills and technology to enable Denel to design, develop and manufacture the A400M wing-to-fuselage fairing and top shells. Additional A400M work packages were subsequently awarded to Denel Aerostructures (as it then was) for the vertical tail-plane’s ribs, swords and spars, the cargo deck floor ISO locks and the Central Guide Vertical Restraint System. These items are manufactured at Denel Aeronautics in Kempton Park. In its latest annual report, for the 2017/18 financial year, Denel said the Airbus contract was historically loss-making and the Department of Public Enterprises (DPE) indemnified these losses up to R1.6 billion. Denel said it was unable to meet all its major A400M deliverables for the 2017/18 financial year, due to liquidity challenges. Of the contracted 22 wing-to-fuselage fairing and top shell contracted ship sets, Denel delivered 14 and 18 respectively. Denel was also unable to fulfil its contractual commitments on the ribs, spars and swords and cargo-hold system work packages in the last financial year. The total programme value of the five work packages amounts to R3.6 billion and revenue of R321 million was recognised during the 2017/18 year. Denel Aeronautics recorded earnings before interest and taxation (EBIT) of R215 million for the 2017/18 financial year, compared with a loss of R83 million for the 2016/17 financial year. It has 1 024 employees and contributes 18% of the Denel Group’s revenue. Renegotiating the A400M contract is part of Denel’s turnaround strategy to reposition the company and return it to profitability – Denel made a R1.7 billion loss in the 2017/18 financial year. Under its new strategy, the company is planning on exiting non-core areas of activity, divesting from non-viable core business areas and focussing on viable core business activities that will led to long-term sustainability; repositioning the core viable business areas to leverage capital and market access; and focussing on export opportunities through strategic equity partnerships and joint ventures. “The board has taken far-reaching steps to restore good corporate governance. We have a new and experienced management team with executive positions being filled. We have a new strategy and a management structure approved to stabilise Denel and achieve long-term growth,” Du Toit said in a statement last month.